I am glad that I purchased the “Fitness is life” DVD because it motivates me to get up and move my body. I have had many gym memberships but fail to follow through because of the hours of operation or the classes I like were not offered at a convenient time. 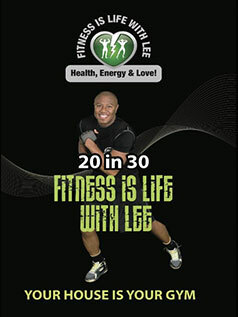 With the Fitness is life DVD, I can workout in the comfort of my home, and I get to control the time I workout. I no longer need a gym access card or code; I just simply pop in the Fitness is life DVD any time and get moving.